Star Wars: The Force Awakens left the fate of Captain Phasma a little ambiguous, though most assumed the First Order heavyweight (played by Gwendoline Christie) managed to make it out of that trash compactor alive. Somehow. 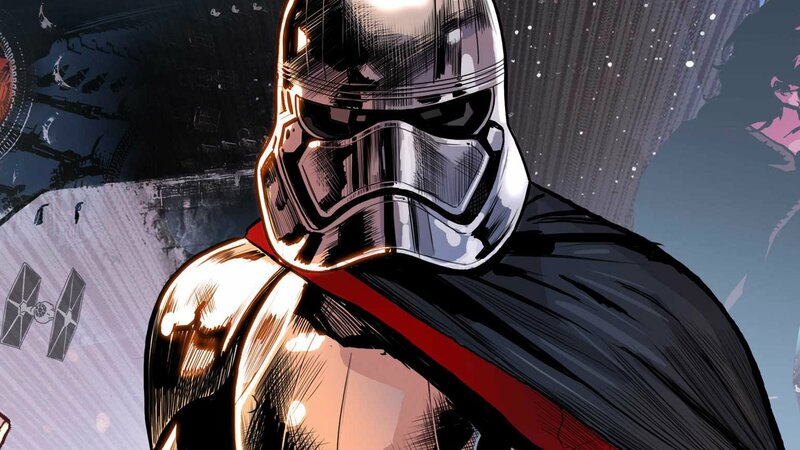 To bridge that gap, Marvel and Star Wars are releasing a 4-issue miniseries titled Star Wars: Captain Phasma, which is part of their larger “Journey to Star Wars: The Last Jedi” event. We’ll learn how Phasma escaped Starkiller Base and maybe see what’s underneath that mask at some point. Hopefully. Written by Kelly Thompson and with art by Marco Checchetto and Paul Renaud, you can see the initial design for Issue #1 below, which teases scenes concurrent with the ending of The Force Awakens. It even hints that we might see some of Rey and Kylo’s battle again from a different perspective, though that could just be placed there to shed light on the setting and timeline. 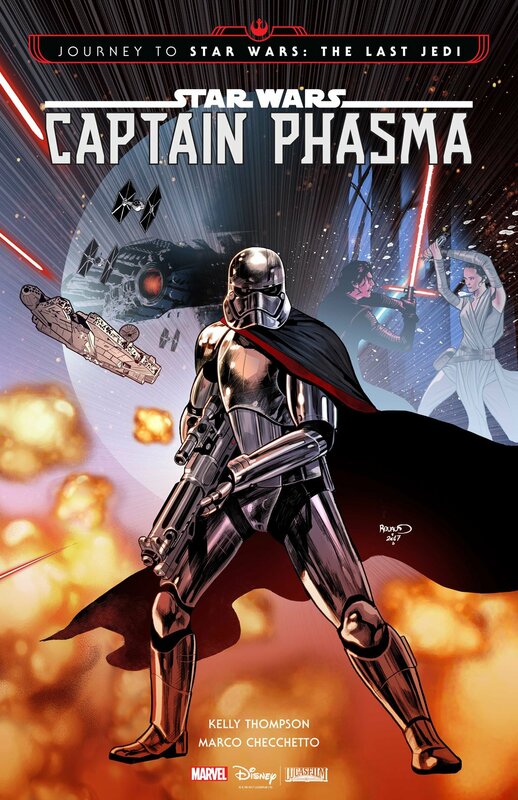 Star Wars: Captain Phasma launches its 4-issue run this September, just a few months before the December release of Star Wars: The Last Jedi.